SriLankan Airlines collected yet another impressive accolade when it won the title of "Best Full Service Airline in Central & South Asia" for the third consecutive year at the Future Travel Experience Asia Awards 2017 in Singapore, an event that recognizes the most customer-centric airlines and airports in Asia and Oceania. SriLankan Airlines's CEO, Captain Suren Ratwatte, said: "I am delighted to say that this award is the direct result of the extraordinary level of commitment by every member of our airline's team, both in the air and on the ground. This demonstrates a high level of long-term consistency in our standards, in terms of the products and the service that we provide. Most importantly, our commitment to quality brings great benefits to our customers, whom we take pride in delighting at all times during their journey with us." 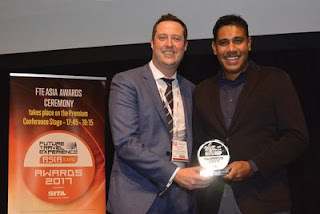 Siva Ramachandra, Chief Commercial Officer of SriLankan Airlines, said: "Winning an important regional award once is creditable for any airline. But winning the same award three times in consecutive years points to a simply marvelous passenger experience that has been provided continuously, throughout our route network." Over the last several weeks, SriLankan has been honoured with a series of global and regional accolades. These include a prestigious Four Star Rating from the Airline Passenger Experience Association (APEX) in the first ever global airline industry rating programme based solely on passenger feedback; "Leading International Airline" and "Best in Class" at the South Asian Travel Awards 2017; and "Innovation in Commercial Airline Cabins" at the In-flight Asia Pacific Awards. 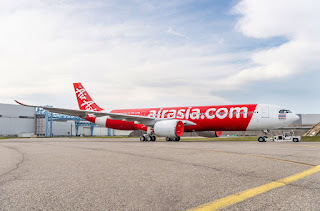 Other recent awards include "World's Leading Airline Operating to the Indian Ocean Region" at the World Travel Awards; "Best International Airline - Asia" for two consecutive years at the Tamil Nadu Tourism Awards; "Most Innovative Marketing Airline in China" by Life Weekly magazine; and 'Best Airline in South Asia' at the Top Travel Awards, also in China. The Central & South Asia region of the Future Travel Experience Asia Awards is comprised of 15 countries stretching from Bhutan in the east to Belarus in the west, with seven nations in Central Asia and eight in South Asia, including India. The gala awards ceremony of Future Travel Experience Asia 2017 was held at the Marina Bay Sands during 'Future Travel Asia Expo 2017' on 7-8 November, a major industry event that brings together thousands of representatives of hundreds of airlines, airports and airline industry vendor organisations. Awards are presented to the best in the categories of Full Service Airlines, Low Cost Airlines, and Airports in five regions - Central & South Asia, Southeast Asia, West Asia, North & East Asia, and Oceania. The Future Travel Experience Asia Awards (www.futuretravelexperience.com/fteasia/) are highly respected in the airline industry. Winners are chosen by a panel of industry experts who judge the comprehensive passenger experience including aspects such as products and services in all cabin classes, long-haul and short-haul flights, in-flight entertainment systems, consistency and quality of cabin crew service, levels of comfort, quality and presentation of food and beverage, and overall passenger experience. SriLankan Airlines operates a route network of 102 cities from its hub in Colombo, with a fleet of modern aircrafts with the latest comforts such as flatbeds in Business Class and sophisticated in-flight entertainment, to complement its world class service that is famed for caring and warmth. As a member of the prestigious oneworld global airline alliance, SriLankan Airlines also connects its passengers to over 1,000 cities in 160 countries around the globe through its oneworld partner airlines.